We treat our personal computer or laptop as our best friend. You carry it everywhere and take care of it the most like it’s a golden treasure. The only problem with bringing your laptop is the inconvenience when you don’t have a bag or a case to keep it. 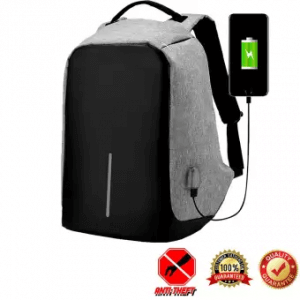 Therefore, you need a laptop backpack that can store your computer while protecting it from the weather and shock at the same time, that is, if you accidentally drop it when it’s raining. In line with the said inconvenience, we will give you the list of the best laptop backpacks you can buy online. 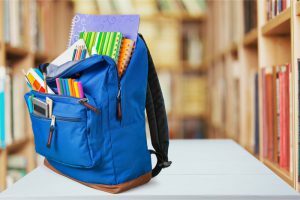 We will also discuss in this article the buying tips you should remember before purchasing a backpack. Our recommendation will help you choose better which is convenient and comfortable for you to use. So grab your pen and paper now and take note of the important details! To better know which type of backpack suits your laptop, let’s first explain some important reminders that will serve as your buying guide. The points that will be discussed chiefly affect the standards of the backpack you are looking for. This will also ensure you will only keep an eye on the good ones and ignore the low-quality ones. This is understandable and important. You need to choose a backpack that certainly fits the size of your laptop. Like any other electronic gadgets, laptops vary in sizes too. 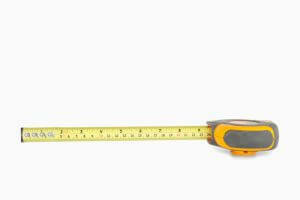 It can range from 8 to 17 inches long, depending on the model or unit. So you better know the dimension of your laptop before proceeding. Ideally, the longer the backpack is, the better. You don’t want to buy a backpack that’s 13 inches long only when your computer is 17 inches long, right? The important thing is to get the one which you know is longer than your laptop. It’s better to get a bigger backpack than something smaller and regret it at the end. And it’s always exciting to take risks, but it will turn out really disappointing if you know which size you should look for but still gambles on something different. Getting a backpack for your laptop is not only for your laptop alone, right? You’re also thinking of placing your other smaller gadgets or accessories in it too – a multi-purpose bag! If you are the type who brings all your gadgets all the time, then better get a backpack full of pockets. Aside from the compartment for your laptop, a good backpack can also give you space for your other gadgets like your phone and tablet, notebooks, pens, and others. The more storage pockets a backpack can offer, the better. Having a bigger backpack where you can place all your things in one is better than carrying multiple smaller bags that bring so much hassle. You will also spend more buying different bags for your different stuff than just spending on one item that can fit all. Although bags are primarily used to store things, a backpack that is made thick and “foamy” can potentially protect your laptop. Accidents happen, and we cannot avoid dropping it at some point. The weather is also another factor that can affect the life of your laptop. If it’s raining, you don’t want to risk going through the rain and letting your laptop wet because you only have a bag made of thin fiber. If you get a bag that can resist shock vibrations and is waterproof at the same time, then it’s a good one. A normal bag, made of thin fabric, can easily shorten your computer’s life because it’s less durable. Therefore, choose something that is robust and of good quality. 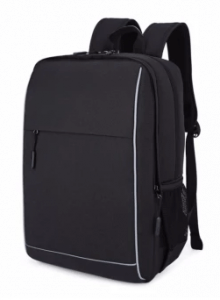 We have now reached the list of the best laptop backpacks online. Check each item’s description so you’ll have a good idea of which is ideal for your needs. 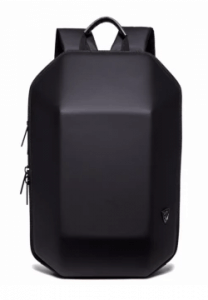 Brookstone highlights its creatively designed backpack for casual uses. This is awesome for teenagers and young adults who are in their secondary and tertiary education! It’s also cool for older adults who want to look casual and young with it despite their age! The bag is made of a canvas material for an extremely durable use. Its back and shoulder pads make you feel comfortable when using it. You can simply adjust its shoulder straps if you want to carry it closer or farther from your shoulders! You’ll feel safe too knowing its greatly made laptop compartment plus a spacious storage for your other things. However, it does not have multiple pockets to store your smaller items like sticky notes. 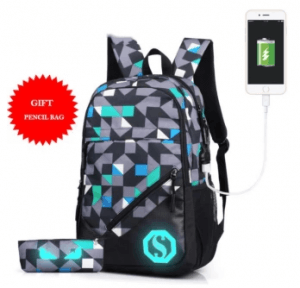 This luminous backpack is fantastically created with a luminous design, brilliant for teenagers and young adults who want to have fun walking on the campus with their complete stuff in the bag! 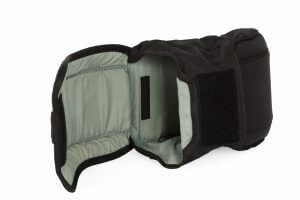 It can fit a 13.7-inch laptop with 2 main zippers for a more spacious storage. You can use it as a laptop bag or a school bag or both! It’s made of Oxford fabric that makes it durable for long-term use. 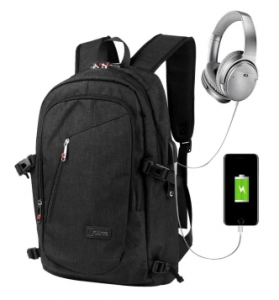 The bag also has a USB port for refueling your phone’s and tablet’s batteries. It does not wear off easily as its material is specially built with wear-resistant properties. This bag is also made breathable for convenience and comfort. Ozuko offers a large-capacity bag to let you enjoy storing all your stuff! This is a backpack for frequent travelers who want to explore far places with only a few necessities, like tissues and towels, and some gadgets such as your phone and tablet. The bag is mainly made of an ABS material for great durability with a polyester lining that adds to the bag’s robustness. It also brings exceptional features of being waterproof, wear-resistant, shockproof, and anti-theft. The bag fits up to a 14.5-inch laptop. You’ll also enjoy its pen slots, hidden zipper pockets, and other pockets, just right for too many things including jewelry and makeup kits! Your planners and notes can be organized in this bag as well. This cute Korean-style bag does not only look adorable but also offers good features for you and your stuff like notebooks and planners! It’s awesome for both male and female users who want to have that Korean vibe. This is also great to use for business and casual users! The bag is primarily made of Nylon fabric that resists water, regardless if its rain or spilled water. Its bottom is durably built with stoppers to keep your laptop upright. Its base is sturdily finished with a leather material for better smoothness. It’s a modern and sleek bag that suits a 16-inch laptop. This incredible bag is wonderfully made to prevent water from damaging your things. It’s a 17-inch laptop bag for outgoing individuals who are not frequent travelers but like to be walking around with their stuff! It features 3 main pockets for your phone, tablet, and power bank; 9 inner small pockets for your smaller things like your coins, and 2 sealed side pockets for wallet and notes. The bag also has an external USB port for charging gadgets and a headphone plug that prevents disturbance from your annoying headphone wire. Its zippers are designed with a durable lock that prevents thieves from touching your stuff. It’s also eco-friendly as it is made of environmentally friendly Nylon fabric! 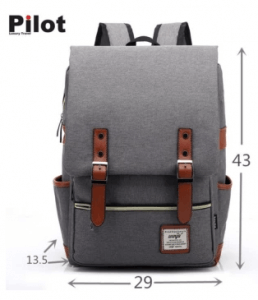 Prince Travel has got something for our male laptop backpack lovers out there! This masculine bag is made of Oxford cloth fabric that resists shocks caused by accidental dropping or bumping into hard materials. It’s a bag for office men who prefer a business-look laptop backpack over a sling laptop bag. The bag is also designed to resist water that safely protects your laptop. It has a lightweight aluminum alloy handle that makes it more stylish. 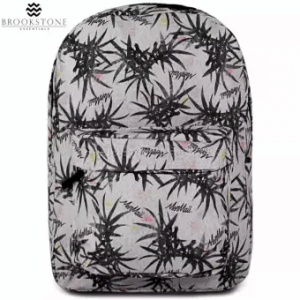 This backpack also has internal multi-sized pockets for your other stuff like phones and tablets and some space for your business attire too! It can effortlessly fit your 15-inch notebook computer! This confuses thieves of where to open the bag because of its fully hidden zipper at the back of the backpack. The bag is great for almost everyone, from teenagers to adults who like to bring as many stuff as they can every time! It also has an expensive look with a combination of black and gray colors. 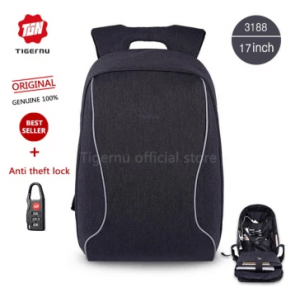 The bag also features a waterproof mask that protects your laptop from water and a USB charging port for your phones and other electronic gadgets. Its weight is perfectly balanced with a luggage strap and illuminating safety strips. This suits a laptop size up to 16.9 inches and also has internal multi-sized pockets for your other gadgets, pens, and accessories. This simply made backpack boasts a waterproof feature to keep your laptop from getting wet! It fits almost everyone, high school teenagers, college students, and working adults. The outer and inner cloth is wonderfully made of polyester material for a thicker final product that protects your things from shocks. Its bottom is designed with an anti-seismic material and pads that hold your computer upright even if you’re moving fast, like running. It also has multi-sized internal pockets for your other smaller things like folded paper money and two large external pockets for your other larger stuff such as planners. It perfectly fits a laptop of 15.6 to 17.3 inches. Our number 2 on the list is a multi-functional backpack! It’s a unisex bag highly recommended for travelers, college students, and for those who always bring their stuff with them anywhere. Although this is a 2017 best seller, it’s still hot in 2018! Its appearance is luxurious, so you can bring it with confidence. You won’t mind bringing it around even if it’s raining because it’s waterproof, and it has an anti-cut pp metal attached to its both sides to keep your laptop safe from thieves. Charging of phones is also not a problem because it has an external USB charging port on the left side. It’s a bag for a 15.6-Inch laptop with internal multi-sized pockets for your other things such as your tablet. Our number 1 on the list is another best seller! 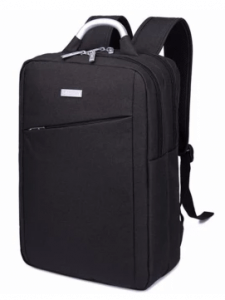 The laptop backpack is designed with a business casual appearance but still fashionable. It has two lines in parallel with each other that flawlessly curve the on the front of the bag. It’s an excellent bag for office people who want to look cool with it in a business-like way! The bag is made of Oxford fabric that repels water. It also has an anti-theft zipper that is completely hidden plus an anti-theft lock that perfectly secures your laptop. Its well-ventilated mesh back panel ensures a good temperature for your back, which doesn’t make you sweat. With its comfortable handle, you’ll have an easy and convenient grip. 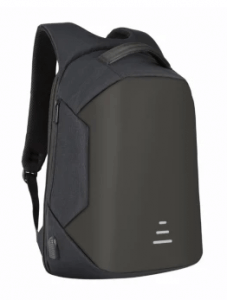 There are still many laptop backpacks on the market you can look into. But with our list of the best bags, you’ll surely consider each item on your list! It is, however, important to keep in mind that durability of these bags matters most. After all, what you are after is the bag’s long-term company because it is an investment you’ll certainly keep and treasure!